This year is expected to be an extremely difficult year for real estate sector in Ho Chi Minh City as there are a few projects approved; credit pumping into real estate is tightened; projects originated from public land are halted or their legal procedures are rechecked. As a result, debts of real estate firms have become greater with a large amount of inventories. Quoc Cuong Gia Lai Joint Stock Company with three subsidiaries and three joint ventures suffered a debt of more than VND1.48 trillion in 2009. Ten years later, the company got into a mess when buying Phuoc Kien project from Tan Thuan One Member Investment and Construction Limited Company and was put into warning status by the Ho Chi Minh City Stock Exchange (HOSE) for violating disclosure obligation. The consolidated financial statement of the fourth quarter of 2018 showed that the company’s payables reached VND6.9 trillion. The company’s inventory was extremely high, up to VND7.4 trillion. There were at least ten incomplete projects including residential areas under construction, of which the Phuoc Kien residence project accounted most with total investment of nearly VND5 trillion. Meanwhile, the company’s profits were fairly low with just a few billion Vietnamese dong. The financial statement in 2015 of FLC Group showed that the company’s payables were nearly VND3.56 trillion with inventory of VND731 billion. Four years later, the company owed VND16.9 trillion with nine unfinished projects worth more than VND3.7 trillion. Meanwhile, FLC Faros Construction JSC was more than VND4.71 trillion in arrears. The total arrears of two companies exceeded VND20 trillion. The growth of FLC accompanied with debts. At the same time, it also faced coercive tax collection. Recently, FLC provided decisions for coercive tax collection it received from 2015 to now upon request by HOSE. In March this year, the group was coerced to pay the pending tax and fines of VND28.4 billion. Especially, the amount of tax being coerced in 2016 was nearly VND130 billion. As for FLC Faros Construction JSC, the amount of tax arrears in 2017 fined by the General Department of Taxation was VND15.7 billion. Payables of real estate companies were huge, exceeding VND270 trillion (US$12 billion). Inventories of realtors were also extremely high. 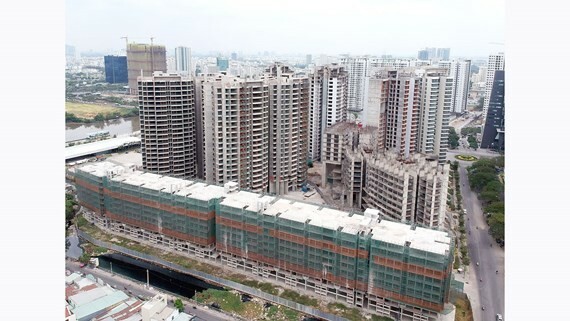 Surveys on 65 real estate companies listed on the stock market showed that inventories were more than VND201 trillion in 2018. Inventories in accord with the companies’ plans and inventories amid distribution and circulation are normal. It is noticeable that inventory is put on sale but has not been consumed yet because it relates to liquidity of firms and credit relation with commercial banks in the matter of bad debts and credit safety, a real estate experts analyzed. The current real estate market has never developed like this before with provinces developing real estate projects massively, people pumping money into the field. As real estate market develops strongly and the prices of land increase ceaselessly, profits of property companies should be high and debts should be reduced instead of continuously raising as it is happening. Mr. 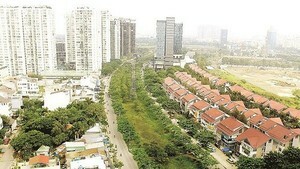 Le Hoang Chau, chairman of Ho Chi Minh City Real Estate Association, said that real estate companies faced losses because they used financial leverage excessively. The larger financial leverage they use, the higher risk they suffer. Borrowing money for business is normal but it is important to consider business results and feasibility of the projects. Real estate companies grew fast but corporate governance has not improved accordingly. Owner of a real estate firm who prefers to preserve his anonymity said that high interest rates also caused real estate firms to suffer losses. When a project is established, it usually takes 5-7 years for compensation and site clearance and at least another 3 years to get ownership certificates for their customers. With a regular interest rate of around 10 percent, if the project experiences prolonged issues, firms will struggle to pay interests. The biggest risk of the real estate market is changes in policy that firms are unable to adapt to or when the market becomes stagnant, firms will definitely face losses then their debts will gradually build up.